The founders of True Zero completed a scenic drive throughout California in a fuel-cell-electric Toyota Mirai, covering 1,438 miles in a 24-hour period, thus breaking the official Guinness World Record for electric miles driven in 24 hours. The goal of the drive was to demonstrate how a zero-emission electric vehicle can serve as a replacement for a gasoline vehicle. 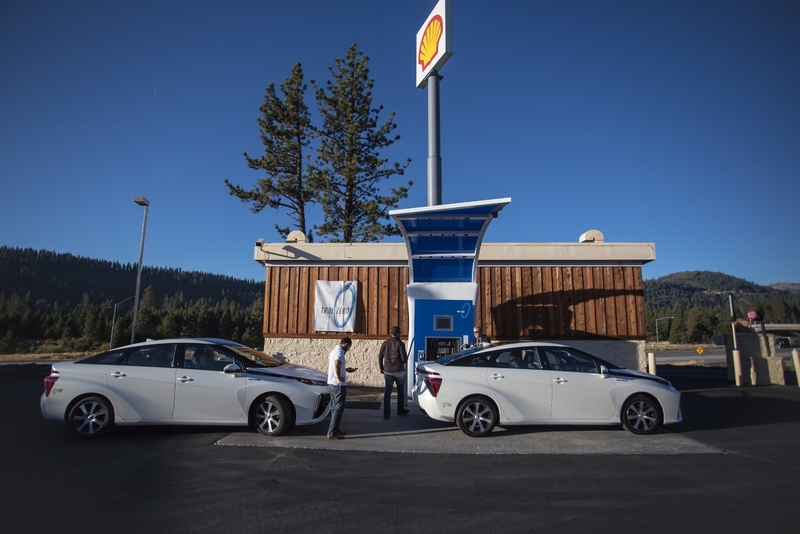 The car was refueled with four-minute “fill ups” using the True Zero retail hydrogen network between southern and northern California. The mileage mark is expected to become an official record once documentation is submitted and reviewed. The drive, which started in Long Beach, spanned from sea level to 7200 feet, passed through six of the seven largest cities in California, and crossed the state’s boundary into Reno. True Zero’s hydrogen charging stations in Long Beach; Harris Ranch/Coalinga; Truckee; Mill Valley; Saratoga; and Santa Barbara were used to refuel the cars during the drive, as was a hydrogen charger in Sacramento operated by Linde. True Zero, which operates the world’s largest network of retail hydrogen-charging stations, reached a major milestone last week of powering more than 1,000,000 zero-emission miles by fuel cell vehicles. True Zero opened its first charging station nine months ago, so the milestone signals a major ramp up in recent months of fuel-cell vehicles on California roads.